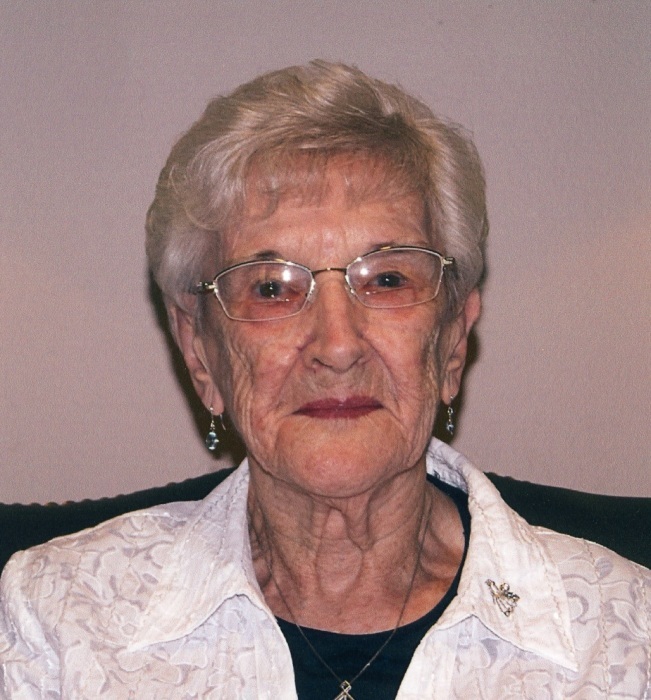 MCGARVEY, Edith “Bernice” (Brown) 102, died Tuesday, April 9th at Westminster Village Retirement Community, with family and friends present. She was born December 21, 1916, the first daughter of Ralph and Nellie (Frisbee) Brown. Bernice was a graduate of Hymera High School and Indiana Business College. She married the love of her life, Walter L. McGarvey on August 5, 1939. They enjoyed 66 wonderful years together. She was preceded in death by her husband, Walter: September 14, 2005, and her son Patrick: August 15, 2013. She loved and doted on her family. She is survived by her children: Gregory (Peggy); and Jayne Ann Kaho (Scott). Her older son, Patrick (Jeri) died in 2013. Grandchildren: Bryan McGarvey; Bradley Nickless (Kimberly); Jennifer (Kaho) James (Jerry); Jake McGarvey (Angie); Meghan (McGarvey) Mulligan (Hugh); Christopher McGarvey; and Joshua McGarvey. Great Grandchildren: Paige Hoffeditz; Ethan Hoffeditz; Brody McGarvey; Bethany Nickless; Madeline McGarvey; Bryson McGarvey; Alexander McGarvey; Trey James; Brayden McGarvey; Wylie Mulligan; Moira Mulligan and another great-grandaughter expected in May. The church was always at the center of life for Bernice and Walter and their family. Farmersburg United Methodist Church was their church home from 1957 till their deaths. As a faithful disciple of Jesus Christ, she served in many capacities at church and in the community: Sunday school teacher, Sunday school Superintendent, president of United Methodist Women, served on the bereavement committee, building committee treasurer, and attended the Coworkers Sunday school class. She worked for over 20 years at People’s State Bank in Farmersburg. She was a member of Fort Harrison Chapter of the Daughters of the American Revolution. She participated in the Christian Business and Professional Women’s organization and the United Methodist Women. She was an enthusiastic Pacers fan and loved card games, especially Contract Bridge. Public calling will be held at Farmersburg United Methodist Church, 318 W. Main Street, from 4-7 p.m. Sunday, April 14 and 11:a.m. till 1:00 p.m. Monday April 15. Celebration of Life service will begin at 1:00 p.m. with interment to follow at Westlawn Cemetery US 41 South. Pastors Jeff Blansett and Don Ransford will lead the service. The family would like to express our thanks for the wonderful help and care given by staff and friends at Westminster Retirement Community and Hospice of Wabash Valley. If desired, memorial contributions could be made in lieu of flowers to Farmersburg United Methodist Church or the charity of your choice.